After a series of tweets claiming the opposite, THQ has claimed there's nothing getting canned. Except for Warhammer 40k: Dark Millennium Online. Maybe. Recently, thousands of virtual eyebrows were raised by an "announcement" from veteran industry analyst Kevin Dent, claiming that THQ had "cancelled all of its 2014 [game lineup]" and that the company is "offering itself to Asian firms to increase value." Dent had even mentioned that the publisher had cancelled its upcoming MMO, Warhammer 40k: Dark Millennium Online. THQ has responded to the fervor with an official statement, claiming Dent's suppositions false ... mostly. 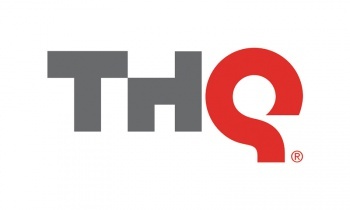 "THQ has not cancelled its 2014 line-up, and has not made any decisions regarding the planned MMO," said a THQ PR spokesperson from the company's Australian office. THQ did announce, however, that it was moving its focus from the "kids' boxed games sector" after poor sales performance by its most recent iteration of the uDraw. "Our slate for calendar 2012 and beyond is focused on high-quality core games and continues to build our digital platform and business," the spokesperson continued. "We are excited for our pipeline of original and high-quality content along with our relationships with some of the best talent in the industry." To be fair to Dent, he did go on to tweet later that his comments were not official, and that no one should worry until THQ spoke up. And speak up, they did, shelving most people's concerns but one: the cancellation of Warhammer 40k: Dark Millennium Online. Considering the fact that the company's official stance seems to be "undecided," there's clearly some room for doubt that the MMO will ever see release.